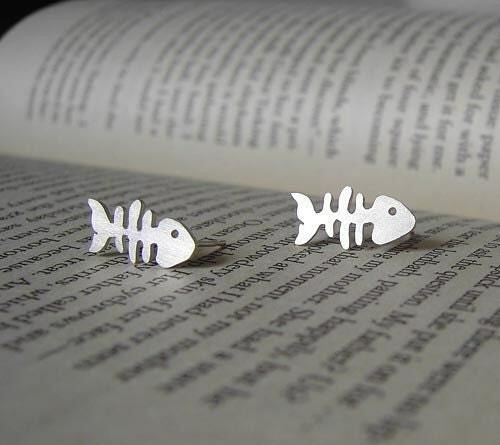 These fishbone earring studs are handmade at my studio in England. 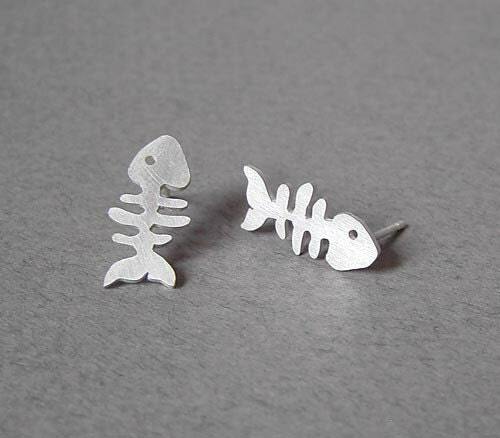 Material: solid sterling silver as shown, also available in 9k yellow gold, 9k rose gold, 9k white gold, 18k rose gold, 18k yellow gold and 18k white gold. Please choose from drop down men. 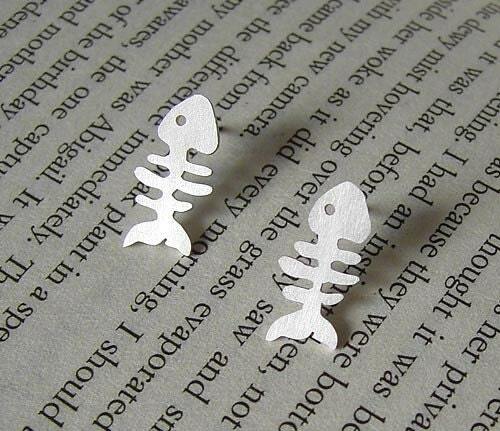 I have long fish skeleton earrings and a great big fish skeleton necklace. These little gems finish me off very well. I have already gotten "love your earrings". 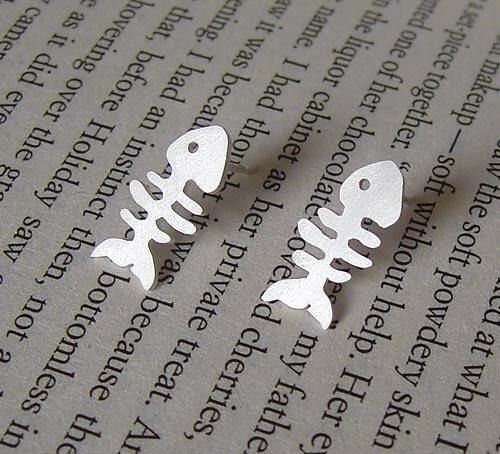 The earrings are absolutely amazing! 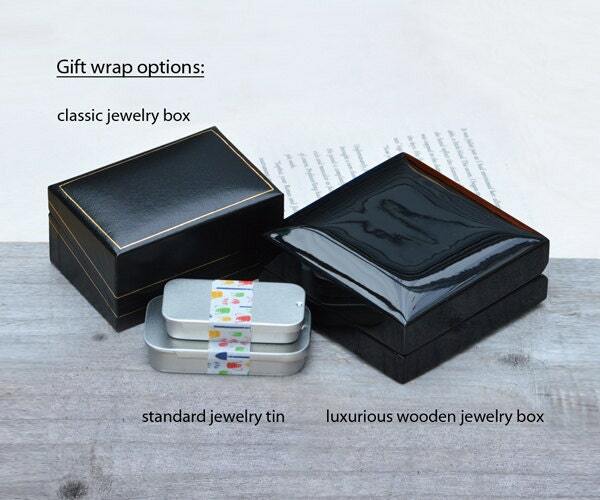 Fantastic quality, very fast shipping and very nice tiny box also)) Thank you very much!